Geoscience Research Institute | What Is the Evidence for a Large Asteroid Impact at the Cretaceous-Paleogene (K-Pg) Boundary? The hypothesis of a large meteorite impacting the surface of the Earth at the end of the Cretaceous was introduced almost four decades ago. In the ensuing years, the geologic community gathered a large body of data in support of this hypothesis, elevating it to the status of a universally accepted fact of Earth history. However, competing models and lively discussions are still unfolding over the dynamics and environmental consequences of this large impact. This short article attempts to a) summarize the evidence that led to the acceptance of the hypothesis; b) assess current areas of uncertainty related to the impact hypothesis; and c) consider ways in which this event is relevant for creationist thinking. In their 1980 paper, Alvarez et al. had already made an estimate of the size of the asteroid (~10km), predicting a diameter for the impact crater of about 200 km. However, ten years after the publication of their paper no crater structure had yet been found. It seemed that the thickness of ejecta deposits (the material expelled from the crater after the impact) decreased away from North-Central America, an area where there was also evidence of tsunami-related deposition thought to have occurred near the impact site. [11,12] Therefore, the crater had to be located somewhere between North and South America. Eventually, Hildebrand et al. localized a subsurface circular structure in the Yucatán Peninsula (Mexico) of matching size, expected stratigraphic position (at the top of Cretaceous strata), and with the right type of impact-related rocks and deposits to be identified as the impact crater. This structure was given the name of Chicxulub Crater. Finding that the last missing piece of the puzzle fulfilled former predictions helped to settle the case in favor of the impact hypothesis. Since its discovery, the Chicxulub Crater has been studied with geophysical methods and wells have been drilled to better characterize the structure and its deposits. [14-19] It appears that the crater is a multi-ring structure, with large concentric fault systems and tilted blocks around its rim, and a central uplift where deep crust and even upper mantle material was upwarped by several kilometers. Impact-related deposits include impact melt, melt-bearing breccias, and large uplifted blocks of granitic basement with pervasive evidence of shock features. The thickness of these deposits varies, but can reach up to several km within the crater. Uncertainties remain about the specific dynamics that generated the multi-ring structure during the impact, the reason for asymmetries observed in the structure, and the lithology and horizontal and vertical distribution of different impact-related deposits in the crater. Fig. 3: An example of distal ejecta deposits. In the Agost section (Spain), the K-Pg boundary is at the base of a dark, several cm-thick, clay layer (indicated by the arrow). Photo courtesy of Dr. Raul Esperante. The study of the ejecta deposits has also significantly advanced after the discovery of the Chicxulub Crater. Their thickness, composition, and sedimentology seem to correspond well with the location of the impact at Chicxulub. Proximal deposits are thicker (from meters to hundreds of meters thick) and generally indicative of more energetic deposition, whereas distal deposits are thin (from cm to mm thick) and deposited through settling (Fig. 3). Early reports had already suggested the possibility of tsunami-related deposition caused by the impact in proximal areas. However, high-quality geophysical data have revealed the truly astonishing proportions of sedimentation processes triggered by the event. [21,22] For example, in the Gulf of Mexico, a region close to the impact site, the boundary layer can be very thick (up to 400m) and is traceable all across the basin. It appears to consist of debris flows and turbidites generated by earthquakes and tsunamis, causing significant erosion and resuspension of unconsolidated sediment. Not all the sediment in this boundary deposit, considered the most voluminous event deposit known to date in the geologic record, was derived from the impact crater. A substantial component was sourced from slope instability and erosion of shelf platforms close to the impact site. Modelling and reconstruction of the environmental effects of the impact is also an area where considerable differences in view have emerged. The original scenario proposed by Alvarez et al. of ejected dust obscuring the sky for years and shutting down photosynthesis was found to overestimate the dust load in the ejecta plume, but variants of the “impact winter” hypothesis are commonly discussed in the literature. [34,35] The hypothesis of global wildfires was also reconsidered, because levels of charcoal in the boundary layer are low and soot probably derived from the ignition of organic matter in the target rocks rather than from burning forests. [36,37] Models also show that the thermal radiation caused by reentry of ejecta particles in the atmosphere was probably not sufficient to cause global wildfires. [38,39] Other suggested effects in the aftermath of the impact include acid rains and absorption of solar radiation by sulfur aerosols produced by the vaporization of sulfur-bearing sediments in the impact target rocks. Philosophical implications: The impact hypothesis has been instrumental in breaking the mold of gradualistic thinking in geology, spurring a new way of looking at geologic data, with renewed openness to and interest in large scale and catastrophic processes. Although this trend had already been signaled by the acceptance of Bretz’s megaflood hypothesis, the exponential growth of publications addressing catastrophes in the Earth systems was certainly favored by a change in the cultural milieu where the impact hypothesis of Alvarez et al. played an important role. Creationist thinking is sympathetic to the development of catastrophic models, because a short chronology requires a great amount of geologic activity to occur over a short amount of time and because the biblical account mentions a short but globally cataclysmic flood. Therefore, creationists have benefited and will continue to benefit from the development of neocatastrophist hypotheses, with increased possibilities for common interests in research projects and collaborations with secular scholars. Geological implications: A first consideration about the impact hypothesis is that its development and corroboration attest to the reliability of the discipline of stratigraphy. It was stratigraphy that led geochemists in their search around the world for a peak in the concentration of iridium, a peak that, in most disparate places, was where the work of stratigraphers had previously located the K-Pg boundary. This impressive example of the power and high resolution of stratigraphic correlation counters the arguments of those who are skeptical about the reliability of stratigraphy and about the value of the geologic column as a framework to spatially organize rock units. Secondly, impact-related processes and deposits are an open window to the remarkable signature of catastrophic events in the rock record and have the potential to revolutionize the gradualistic interpretive approach. In sedimentology, impact-related deposits provide an example of rapid (hours to days) basin-scale deposition of hundreds of meters of sediment. and basin-scale erosion and remobilization of unconsolidated sediment. In structural geology, crater formation requires extreme rock weakening, to the point of fluidization, offering instructive scenarios for crust and mantle softening that could help model plate tectonic processes within a catastrophist framework. Cratering also offers an example of almost instantaneous formation of faults and tectonic features. In igneous geology, models have shown that large impacts can produce massive amounts of melts almost instantaneously, leading to the suggestion that impacts might even have been responsible for the emplacement of some large igneous provinces. [44-46] At the same time, not everything in the geologic record of impacts is massive or disruptive. For example, some distal ejecta layers are only mm thin and often found sandwiched in relatively undisturbed fine grained marine deposits. Therefore, impact deposition epitomizes well the formidable complexity of the geologic record. The same event that accounts for hundreds of meters of sediment and complete disruption in one area is expressed elsewhere by a perfectly identifiable thin layer within hundreds of meters of unrelated rocks. Finally, the physical evidence attributed to the impact is a prime example of how the rocks have a story to tell. There are indeed large shocked blocks of basement and tens of meters of breccia in the subsurface of the Yucatán Peninsula, tiny spherules forming thin layers can be found near or at the K-Pg boundary in several locations around the world, and an anomalously high concentration of iridium can be globally detected in a very precise stratigraphic interval. These observations, and many others more, can be placed together in a coherent picture. in spite of all the uncertainties and limitations intrinsic to the practice of historical sciences. The reconstruction of what occurred might not be exactly right in all of its aspects, but the rocks are indeed there to challenge and alert us that something did happen. Theological implications: The destructive and catastrophic nature of a large impact event has the potential to raise questions about God’s interaction with the creation and about the nature of His character. One could ask if meteoritic impacts are contingencies allowed to occur within a complex created universe or if they are a direct expression of God’s plan. In particular, if God oversaw the unfolding of the impact event during the Genesis flood, was that accomplished through direct or secondary causation? Was there design and divine intent in the specifics of the location, energy, and timing of the impact? Answers to these questions can be placed on a spectrum between the two extremes of hyperdeterminism, where every minimal detail of geological phenomena has a predetermined purpose, and a naturalistic-like “closed system” view, where God is excluded from any further interaction with the world after the setting in motion of its laws. More significantly, one could ask how the God of love, the giver and protector of life, could be so intimately associated with an utterly destructive event. In searching for answers to these difficult questions, the Genesis narrative clearly describes how the flood and its geologic processes occurred after the entrance of evil into the world and as a consequence of the total corruption of God’s original creation. The textual evidence powerfully presents the flood as the “undoing of creation.” Therefore, God’s action can be seen as a withdrawal of His sustaining, ordering, and life-giving power, an expression of how things dissolve when we reject His presence. And yet, at the acme of the chiastic structure of the Genesis flood narration, we are told that “God remembered Noah, and every living thing, and all the animals that were with him in the ark” (Gen 8:1). It is hard to imagine a way short of God’s miraculous protection that could preserve a human-made wood vessel and its passengers in the midst of such cataclysmic forces, of which the Chicxulub impact might have been just a small component. However, instead of taking our everyday existence as a granted necessity of nature, we should recognize behind its sustenance the same miraculous grace and mercy that carried the ark and its occupants through a perilous journey. Alvarez, L.W., et al., Extraterrestrial Cause for the Cretaceous-Tertiary Extinction. Science, 1980. 208(4448): p. 1095-1108. Originally, this stratigraphic boundary was referred to in the literature as the K-T (Cretaceous-Tertiary) boundary, a notation that was subsequently abandoned for K-Pg (Cretaceous-Paleogene), which better reflects current conventions in stratigraphic nomenclature. Alvarez, L.W., Experimental evidence that an asteroid impact led to the extinction of many species 65 million years ago. Proceedings of the National Academy of Sciences, 1983. 80(2): p. 627-642. Ganapathy, R., A Major Meteorite Impact on the Earth 65 Million Years Ago: Evidence from the Cretaceous-Tertiary Boundary Clay. Science, 1980. 209(4459): p. 921-923. Smit, J. and G. Klaver, Sanidine spherules at the Cretaceous–Tertiary boundary indicate a large impact event. Nature, 1981. 292(5818): p. 47-49. Montanari, A., et al., Spheroids at the Cretaceous-Tertiary boundary are altered impact droplets of basaltic composition. Geology, 1983. 11(11): p. 668-671. Sigurdsson, H. and S.D. 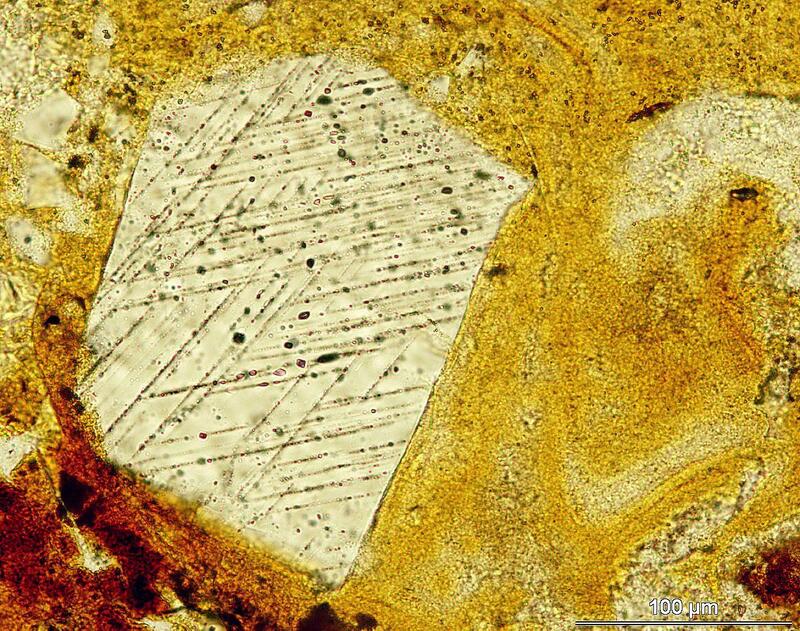 Hondt, Glass from the Cretaceous/Tertiary boundary in Haiti. Nature, 1991. 349(6309): p. 482. Bohor, B.F., et al., Mineralogic evidence for an impact event at the Cretaceous-Tertiary boundary. Science, 1984. 224: p. 867-870. Wolbach, W.S., et al., Global fire at the Cretaceous-Tertiary boundary. Nature, 1988. 334(6184): p. 665-669. Wolbach, W.S., R.S. Lewis, and E. Anders, Cretaceous extinctions: evidence for wildfires and search for meteoritic material. Science, 1985. 230: p. 167-171. 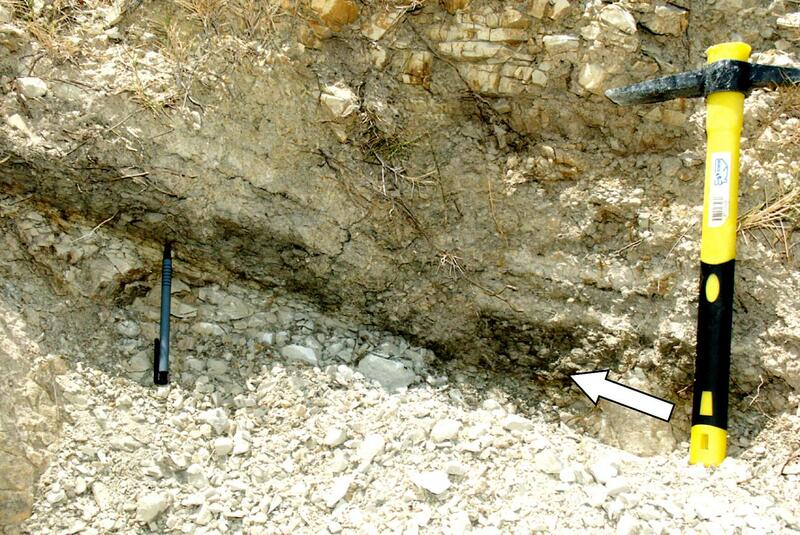 Bourgeois, J., et al., A tsunami deposit at the Cretaceous-Tertiary boundary in Texas. Science, 1988. 241(4865): p. 567. Hildebrand, A.R. and W.V. Boynton, Proximal Cretaceous-Tertiary boundary impact deposits in the Caribbean. Science, 1990. 248(4957): p. 843. Hildebrand, A.R., et al., Chicxulub Crater: A possible Cretaceous/Tertiary boundary impact crater on the Yucatán Peninsula, Mexico. Geology, 1991. 19(9): p. 867-871. Urrutia‐Fucugauchi, J., et al., The Chicxulub scientific drilling project (CSDP). Meteoritics & Planetary Science, 2004. 39(6): p. 787-790. Gulick, S., et al., Expedition 364 Preliminary Report: Chicxulub: Drilling the K-Pg Impact Crater. International Ocean Discovery Program, 2017. Christeson, G.L., et al., Mantle deformation beneath the Chicxulub impact crater. Earth and Planetary Science Letters, 2009. 284(1–2): p. 249-257. Morgan, J., et al., Size and morphology of the Chicxulub impact crater. Nature, 1997. 390(6659): p. 472-476. Morgan, J. and M. Warner, Chicxulub: The third dimension of a multi-ring impact basin. Geology, 1999. 27(5): p. 407-410. Gulick, S., et al., Geophysical characterization of the Chicxulub impact crater. Reviews of Geophysics, 2013. 51(1): p. 31-52. Schulte, P., et al., The Chicxulub Asteroid Impact and Mass Extinction at the Cretaceous-Paleogene Boundary. Science, 2010. 327(5970): p. 1214-1218. Sanford, J.C., J.W. Snedden, and S.P.S. Gulick, The Cretaceous-Paleogene boundary deposit in the Gulf of Mexico: Large-scale oceanic basin response to the Chicxulub impact. Journal of Geophysical Research: Solid Earth, 2016. 121(3): p. 1240-1261. Denne, R.A., et al., Massive Cretaceous-Paleogene boundary deposit, deep-water Gulf of Mexico: New evidence for widespread Chicxulub-induced slope failure. Geology, 2013. 41(9): p. 983-986. Mateo, P., et al., Mass wasting and hiatuses during the Cretaceous-Tertiary transition in the North Atlantic: Relationship to the Chicxulub impact? Palaeogeography, Palaeoclimatology, Palaeoecology, 2016. 441, Part 1: p. 96-115. Keller, G., et al., Chicxulub impact spherules in the North Atlantic and Caribbean: age constraints and Cretaceous–Tertiary boundary hiatus. Geological Magazine, 2013. 150(5): p. 885-907. Keller, G., et al., Cretaceous Extinctions: Evidence Overlooked. Science, 2010. 328(5981): p. 974-975. Keller, G., et al., Chicxulub impact predates K–T boundary: New evidence from Brazos, Texas. Earth and Planetary Science Letters, 2007. 255(3-4): p. 339-356. Keller, G., et al., Chicxulub impact predates the K-T boundary mass extinction. Proceedings of the National Academy of Sciences of the United States of America, 2004. 101(11): p. 3753-3758. Jolley, D., et al., Two large meteorite impacts at the Cretaceous-Paleogene boundary. Geology, 2010. 38(9): p. 835-838. Lerbekmo, J.F., The Chicxulub-Shiva extraterrestrial one-two killer punches to Earth 65 million years ago. Marine and Petroleum Geology, 2014. 49: p. 203-207. Archibald, J.D., et al., Cretaceous Extinctions: Multiple Causes. Science, 2010. 328(5981): p. 973-973. Courtillot, V. and F. Fluteau, Cretaceous Extinctions: The Volcanic Hypothesis. Science, 2010. 328(5981): p. 973-974. Keller, G., J. Punekar, and P. Mateo, Upheavals during the Late Maastrichtian: Volcanism, climate and faunal events preceding the end-Cretaceous mass extinction. Palaeogeography, Palaeoclimatology, Palaeoecology, 2016. 441, Part 1: p. 137-151. Pope, K.O., Impact dust not the cause of the Cretaceous-Tertiary mass extinction. Geology, 2002. 30(2): p. 99-102. Vellekoop, J., et al., Evidence for Cretaceous-Paleogene boundary bolide “impact winter” conditions from New Jersey, USA. Geology, 2016. 44(8): p. 619-622. Kaiho, K., et al., Global climate change driven by soot at the K-Pg boundary as the cause of the mass extinction. Scientific Reports, 2016. 6: p. 28427. Harvey, M.C., et al., Combustion of fossil organic matter at the Cretaceous-Paleogene (K-P) boundary. Geology, 2008. 36(5): p. 355-358. Belcher, C.M., et al., Fireball passes and nothing burns—The role of thermal radiation in the Cretaceous-Tertiary event: Evidence from the charcoal record of North America. Geology, 2003. 31(12): p. 1061-1064. Goldin, T.J. and H.J. Melosh, Self-shielding of thermal radiation by Chicxulub impact ejecta: Firestorm or fizzle? Geology, 2009. 37(12): p. 1135-1138. Morgan, J., N. Artemieva, and T. Goldin, Revisiting wildfires at the K-Pg boundary. Journal of Geophysical Research: Biogeosciences, 2013. 118(4): p. 1508-1520. Trinquier, A., J.-L. Birck, and C. Jean Allègre, The nature of the KT impactor. A 54Cr reappraisal. Earth and Planetary Science Letters, 2006. 241(3–4): p. 780-788. Goderis, S., et al., Reevaluation of siderophile element abundances and ratios across the Cretaceous–Paleogene (K–Pg) boundary: Implications for the nature of the projectile. Geochimica et Cosmochimica Acta, 2013. 120: p. 417-446. Marriner, N., C. Morhange, and S. Skrimshire, Geoscience meets the four horsemen? : Tracking the rise of neocatastrophism. Global and Planetary Change, 2010. 74(1): p. 43-48. 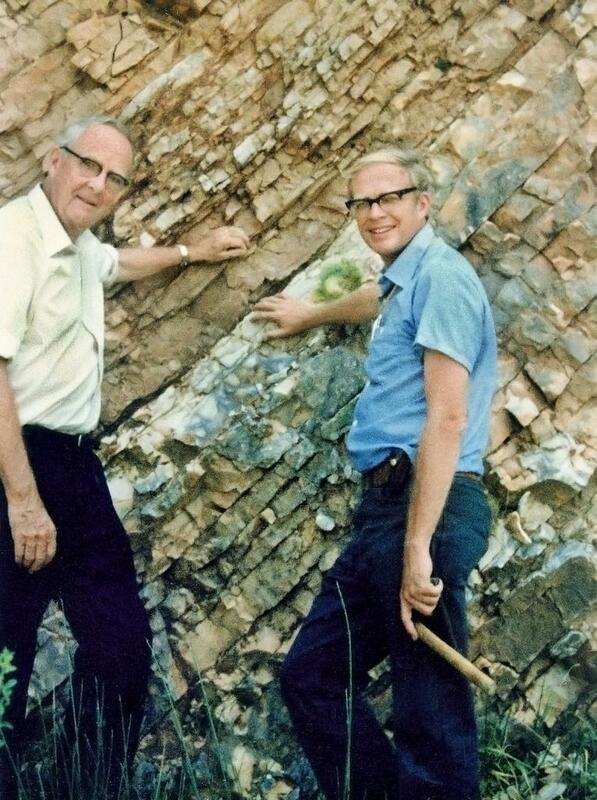 Reed, J., P. Klevberg, and C. Froede Jr, Towards a diluvial stratigraphy, in The geologic column: Perspectives within diluvial geology, J. Reed and M.J. Oard, Editors. 2006, Creation Research Society Books. p. 31-51. Jones, A.P., et al., Impact induced melting and the development of large igneous provinces. Earth and Planetary Science Letters, 2002. 202(3): p. 551-561. Elkins-Tanton, L.T. and B.H. Hager, Giant meteoroid impacts can cause volcanism. Earth and Planetary Science Letters, 2005. 239(3–4): p. 219-232. Ingle, S. and M.F. Coffin, Impact origin for the greater Ontong Java Plateau? Earth and Planetary Science Letters, 2004. 218(1–2): p. 123-134. However, some do not find the evidence for an impact at Chicxulub convincing. See for example the recent in depth analysis by Clarey, T.L., Do the data support a large meteorite impact at Chicxulub? Answers Research Journal, 2017. 10: p. 71-88. Some of the language in Revelation 8:8-11 could be compatible with the description of the impact of extraterrestrial objects, but most modern commentators agree that the context of John’s vision is prophetic and presented in apocalyptic style. See, for example, J. Paulien, The End of Historicism? Reflections on the Adventist Approach to Biblical Apocalyptic—Part One. Journal of the Adventist Theological Society, 2003. 14(2): p. 15–43. It should also be noted that as of May 8, 2017, the Earth Impact Database listed 190 confirmed impact structures identified on Earth, of which Chicxulub is listed as the second largest in diameter. This article focuses only on the K-Pg impact event, but biblical and theological considerations similar to those expressed for this specific event can also apply to the larger phenomenon of large meteoritic impacts on Earth. Gibson, L.J., A catastrophe with an impact. Origins, 1990. 17(1): p. 38-47. Oard, M.J., An impact Flood submodel—dealing with issues. Journal of Creation, 2012. 26(2): p. 73-81. Spencer, W.R., Geophysical effects of impacts during the Genesis Flood, in Proceedings of the Fourth International Conference on Creationism, R.E. Walsh, Editor. 1998, Creation Science Fellowship. p. 567-579. Spencer, W.R., Catastrophic impact bombardment surrounding the Genesis Flood, in Proceedings of the Fourth International Conference on Creationism: , R.E. Walsh, Editor. 1998, Creation Science Fellowship. p. 553-566. Oard, M.J., Precambrian impacts and the Genesis Flood. Journal of Creation 2014. 28(3): p. 99–105. Spencer, W.R., Impacts and Noah’s Flood—how many and other issues. Journal of Creation, 2013. 27(1): p. 85-89. Unfred, D.W., Asteroidal impacts and the Flood-judgment Creation Research Society Quarterly 1984. 21: p. 82-87. Froede, C.R.J. and D.B. DeYoung, Impact events within the young-earth Flood model. Creation Research Society Quarterly, 1996. 33: p. 23-34. See Gen.4:10,17; Gen 9:5; Ex 20:13. For a summary of scholarly work supporting the “undoing of creation” motif, see Davidson, R.M., The Genesis flood narrative: Crucial issues in the current debate. Andrews University Seminary Studies, 2004. 42(1): p. 49-77. Shea, W.H., The structure of the Genesis Flood narrative and its implications. Origins, 1979. 6(1): p. 8-29.